Well, this is definitely a first. 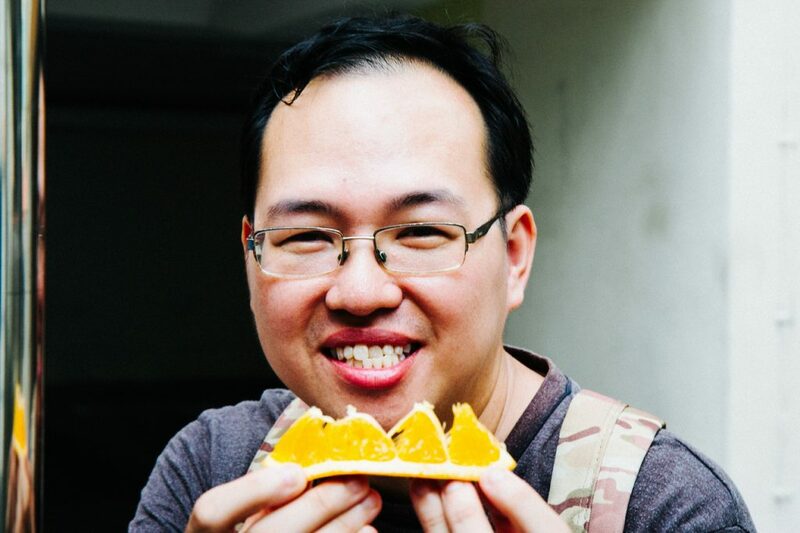 At the behest of Daniel Tay, the dumpster diving hobbyist I interviewed and wrote about a year ago, I’ve just eaten food salvaged from the trash. Today, we meet again at Tiong Bahru, a neighbourhood he’s exploring for the first time. A lot has happened in the year since his story reached the masses. Daniel has appeared on television and newspapers, given two TED Talks, met and shot with the man behind the one-minute travel video series, Nas Daily. 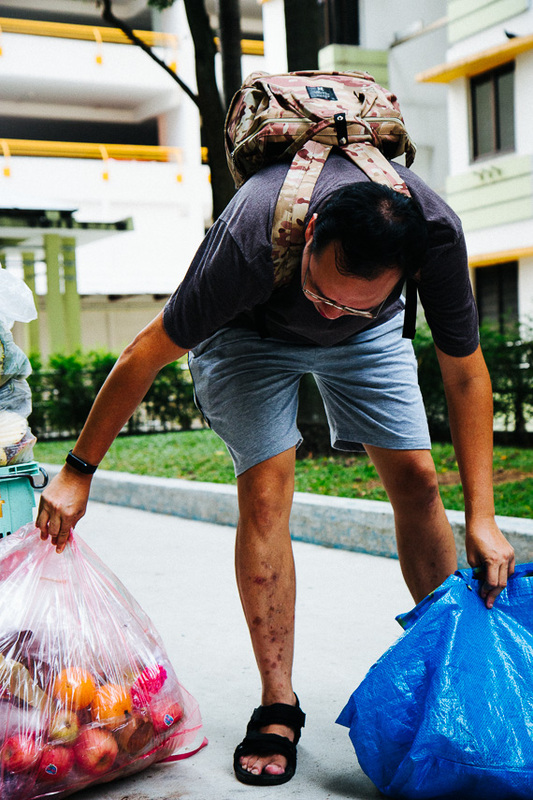 He even won a pitch at EarthFest 2018 that gave him $1,000 to kickstart SG Food Rescue, a response to how food waste in Singapore has grown by about 40% in the last 10 years. Quick aside: the amount of food wasted last year was equivalent to about 788,000 tonnes, or the weight of more than 3500 MRT trains. Between November 2016 and March 2017, the amount of food thrown away was equivalent to a 2.5 kg bag of rice every week. 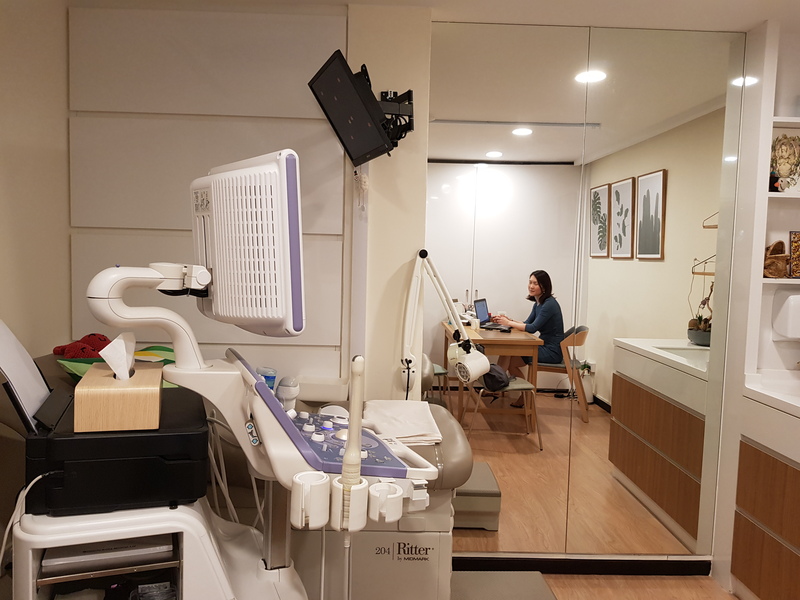 At the same time, the Freegan in Singapore Facebook group has expanded vastly, from a lean group of 25 to a 6,388-strong community, and spawned a good number of location and activity-specific sub-groups with their own leaders. While more people are gathering to dig through bins in Singapore, Daniel has ceased taking part in the hobby that made him famous. Instead, he now focuses on his SG Food Rescue efforts, which he participates in at least once to thrice a week. 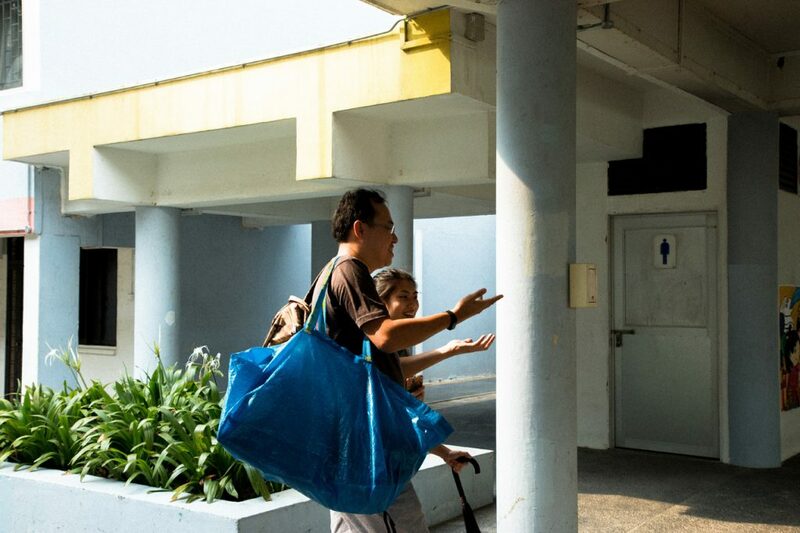 The “biggest change” for the initiative in the past year has seen groups of volunteers rounding up leftover food items from various shops in Pasir Panjang and Little India. The volunteers are the first to take from the pile of food. Then, the rest goes to charities such as Beyond Social Services, Free Food For All, and South Central Community Family Service Centre. “Things changed for me when I started commercial dumpster diving. It’s when you see the volumes of things being thrown away. It’s more exciting,” says Daniel. Commercial dumpster diving, as he explains, means taking from the trash generated by shops and supermarkets. Curious to learn more about the extent of food waste in the country, he signed up to volunteer for The Food Bank, where he got involved in the Fresh Food Truck Project. A collaboration between shopkeepers and charity, it uses a food truck to collect leftover food before re-distributing them to the underprivileged. Inspired by this project, a few members of the freegan community started doing the same thing independently to collect excess food for their own consumption. “I decided to join them a couple of times and what I observed was that they ended up collecting too much food. The freegans were throwing [the excess] away, so that’s kind of a waste,” shares the semi-retired financial planner, who decided to get a truck too to send the surplus to charitable organisations. But these non-profits weren’t always able to accept their contributions. “At the volume we were collecting, it’s like the freegans take 10% and 90% goes to charity,” he says. It wasn’t as simple as taking the food and dumping them on a single organisation. Free Food For All, for instance, could only take a quarter of the food they delivered because of space constraints. Willing Hearts tried to absorb the remainder of the food, but couldn’t handle the frequency at which SG Food Rescue was donating. In the end, they were turned away. It took a lot of trial and error before they developed a process that works. It was a steep learning curve for Daniel, who took home lessons beyond how to run a volunteer group. Here are a few of them. 1. It might not always be visible, but waste exists everywhere. Walking along the old estates of Tiong Bahru, most of the recycling bins we come across come up empty. It’s not the best time of day to dumpster dive, Daniel says. There’s a lot more to discover at night when everyone’s home from work and clearing the trash. Yet the thing is, the problem of waste isn’t always apparent. Just because these receptacles are empty doesn’t mean we’re waste-free. Likewise, waste exists in places you wouldn’t imagine, and it exists at every level – including at charities. Some of the items donated to the needy often end up going back into the trash. 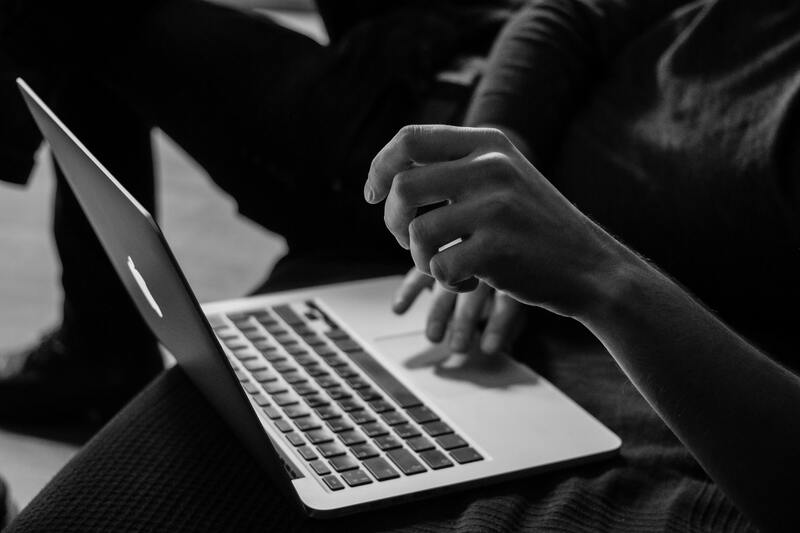 After getting in touch with the charity responsible, Daniel discovered it was an issue of not following up with the beneficiaries. Despite being advised to call up the organisation if they can’t finish the food, most of the residents never do, choosing to take the easy way out and tossing everything in the bin. Unaware of this, the charity simply assumes everything is fine. 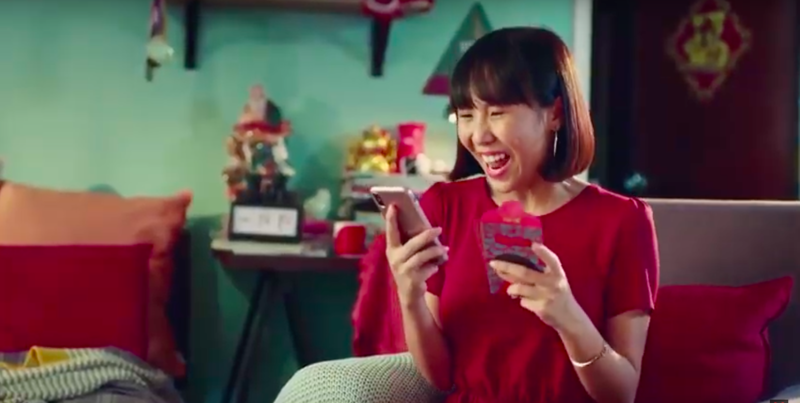 Now that this issue has reached them, they’ve reduced the amount of items donated to certain areas, allowing them to reach out and contribute to other parts of Singapore. Still, this is just one organisation. Wastage no doubt remains widespread. 2. 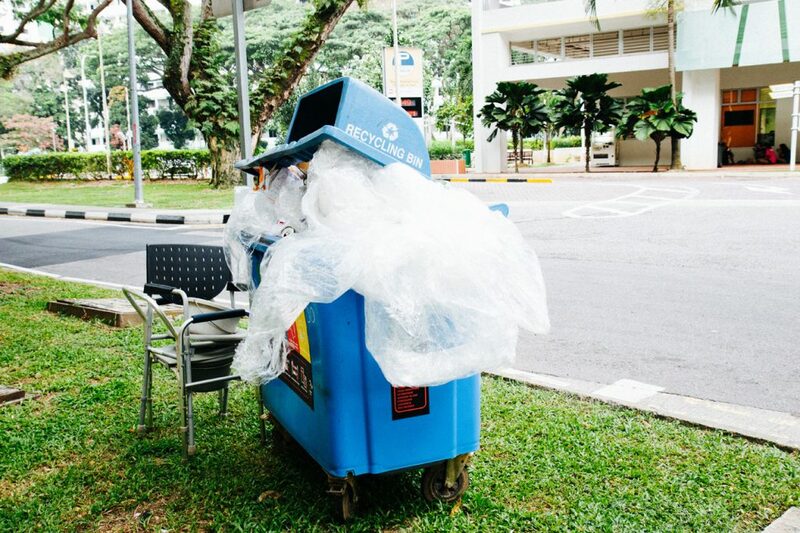 Recycling doesn’t “work” in Singapore. 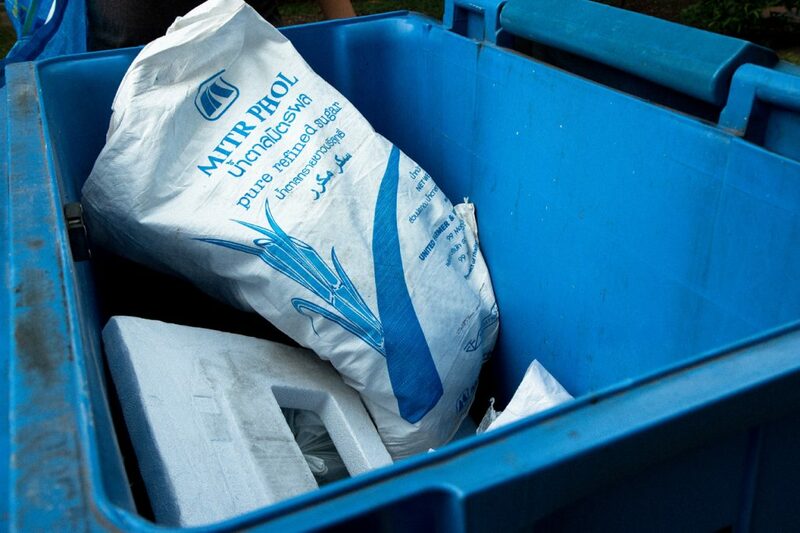 “[We think recycling efforts are] easy to measure, easy to show results for. But recycling is not a solution. It’s a last resort. 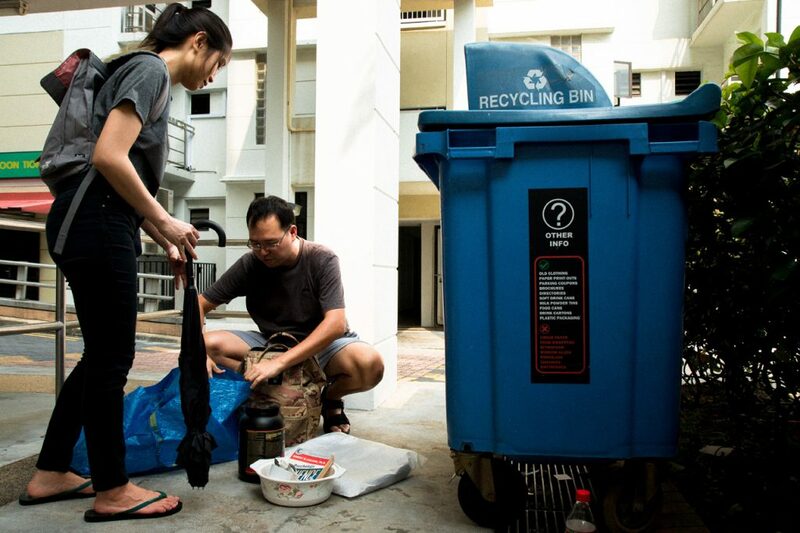 You don’t hear much emphasis on reducing or reusing because they are a lot harder to measure, but ultimately, recycling isn’t working in Singapore. It shows from the level of waste we have,” Daniel says. This is clearly evident from the rotten food we find in the recycling bins. 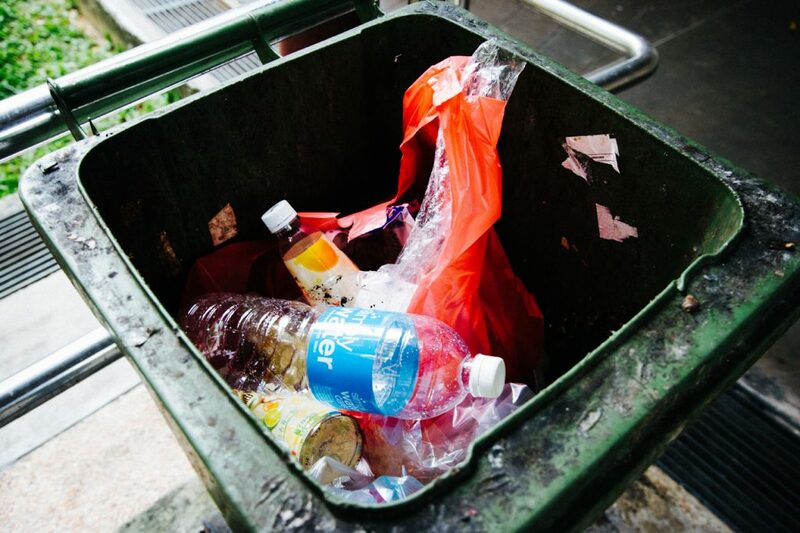 Singaporeans are either uneducated about proper recycling, or simply don’t care enough to do it right. In 2017, Singapore generated about 7.7 million tonnes of solid waste, according to the National Environment Agency. Of this, only 61% is recycled. More important to note however is the stark disparity between the non-domestic recycling rate (76%) and the domestic recycling rate (a mere 21%). And this is evidenced by how the SG Food Rescue team collects about two tonnes of food waste in a week. So it would be more accurate to say that while Singapore as a whole manages its waste moderately well, Singaporeans themselves can do a lot better. 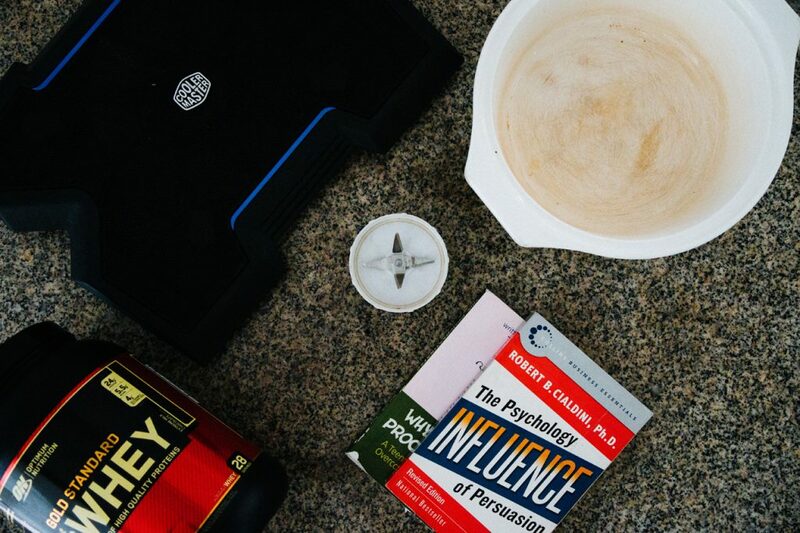 Despite our rough start, Daniel and I manage to find almost $100 worth of items within 20 minutes, including a container of chocolate-flavoured protein powder, Teo Aik Cher’s Why Procrastinate, Robert Cialdini’s Influence: The Psychology of Persuasion, a ceramic pot, and a laptop cooler in perfect condition. 3. Most people believe in the myth of expired food. Charities are generally not allowed to distribute expired food. Though some have attempted giving out close-to-expired items, many disadvantaged recipients reject them, calling them “poison”. Daniel, on the other hand, doesn’t buy into the idea of an expiry date, going on to add that it can be very disheartening that people only want the good stuff. Daniel teaches his proteges to examine expired items with their eyes and nose. Are there moulds or maggots? Does it smell funny? It makes sense to think that food doesn’t expire overnight, and often they’re perfectly safe to eat. All we need is some common sense; maybe a dash of courage, to question the way things work. Just recently, the SG Food Rescue group came upon 10 tonnes of onions that had been imported into Singapore. But when they arrived, they had already sprouted. Though they were unsellable, they were still edible, as long as you removed the unwanted bits. Ten tonnes of food was way too much for the team to take in, but Daniel found someone with a warehouse to store the onions and made an open call to the public for collection. Within a day, everything was cleared. If they hadn’t interceded, however, all of that would’ve gone into the trash. Towards the end of our dumpster diving session, we find ourselves at the back of a supermarket, looking in a dark trash storage room with the door open. Stepping in, Daniel inspects the stack of styrofoam boxes and hastens to snag one, rushing out before anybody notices. 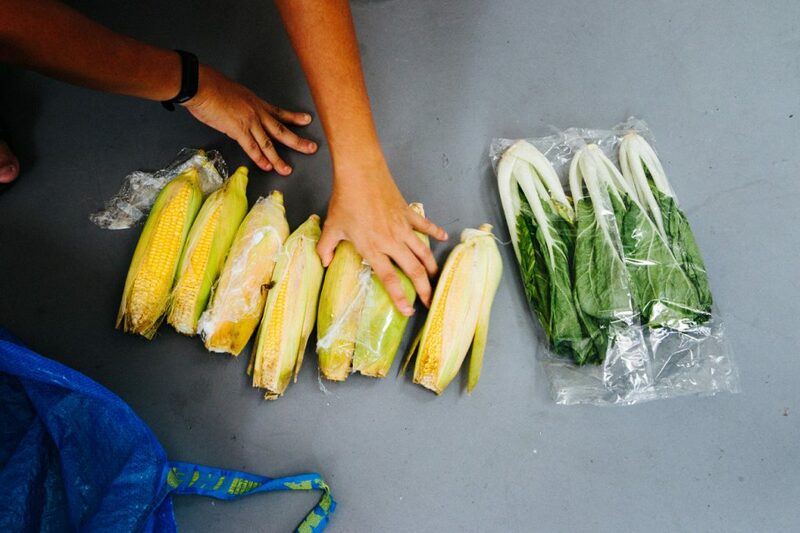 Inside, we find eight pieces of sweet corn and a packet of vegetables. 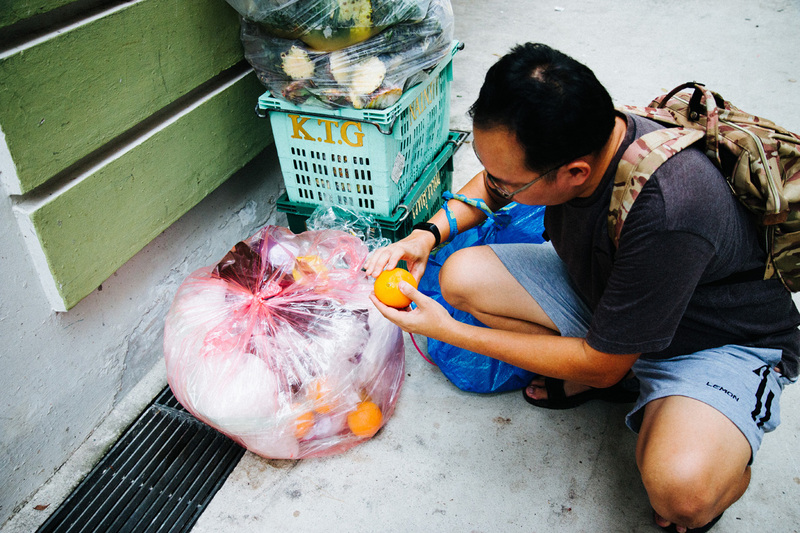 Five minutes later, poking through a plastic trash bag, Daniel discovers another eight oranges, some with soft patches on the surface but mostly still fresh looking. He walks to some steps nearby, sits down and pulls out a pen knife. Wiping the blade against his clothes, he picks a piece and slices it. 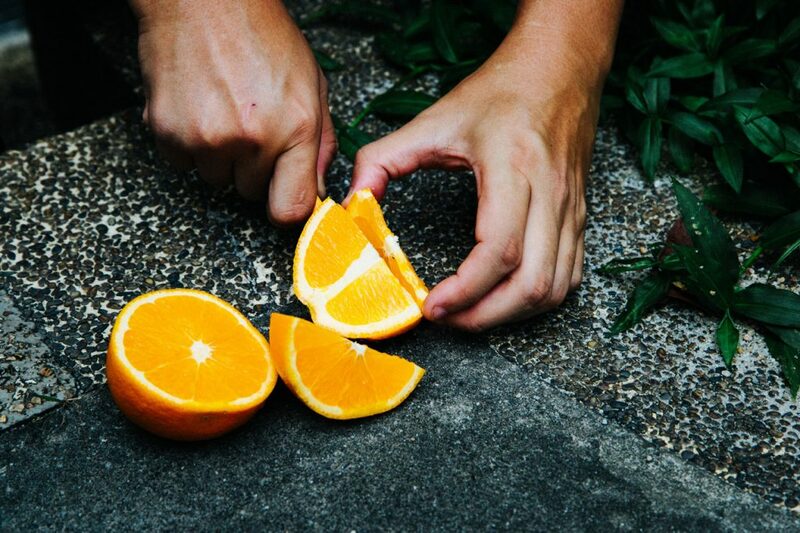 Inside, the orange is sweet and juicy. He hands me a slice and insists I taste it. Indeed, it tastes like it came straight from the supermarket. It’s been a couple of days, and I’m still waiting for the diarrhoea to come. 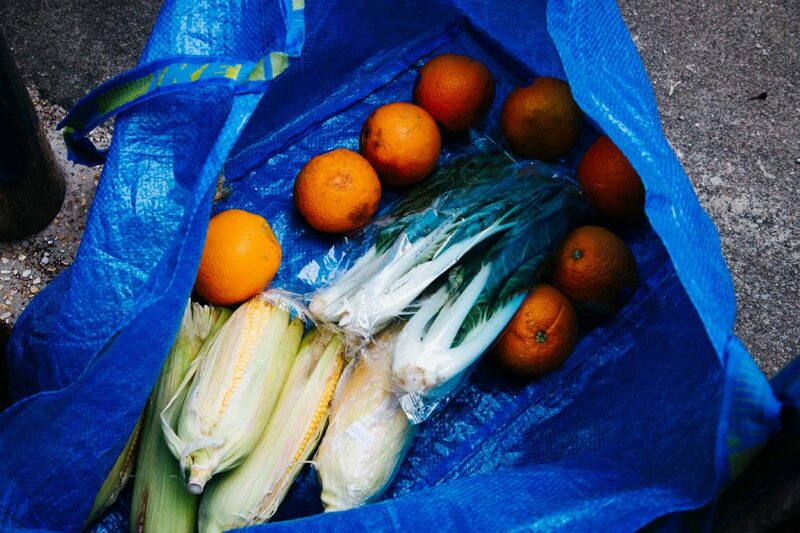 Do your part to generate less waste—food or otherwise. Pledge your commitment to #RecycleMoreWasteLess here.